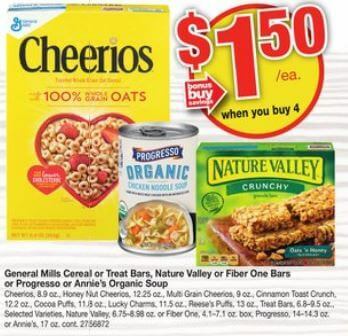 FREE Cereal and Annie’s Soups, $0.50 Progresso Organic Soup + More Great Deals at Stop & Shop, Giant, and Martin! Through 10/19 Stop & Shop, Giant, an Martin have another great Instant Savings Deal. The Deal is Buy 4 Select GM Products and Save $4 Instantly! The cereals are Cheerios, Honey Nut Cheerios, Multi-Gran Cheerios, CTC, Cocoa Puffs, Reeses and Lucky Charms, all included items are priced at $2.50 each! 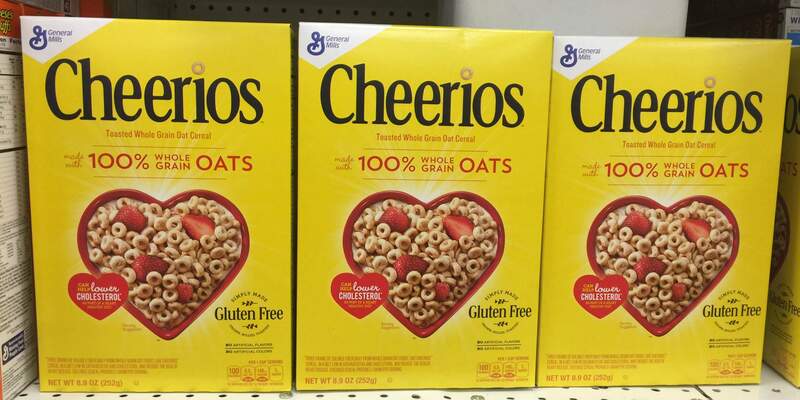 We have a great deal set up for Giant and Stop & Shop shoppers, for Cheerios. We have a $0.75/1 General Mills Cheerios cereals coupon from the Regional 9/24 Smart Source insert still available. If you still have 4 of these you can score yourself 4 FREE Boxes of Cheerios! Woot Woot! Annies Soup Cartons are also included and we have a $0.75/1 Annies Soup CARTONS of any printable coupon available. We can pick up 4 of the Annies Soups, use 4 Coupons and Pay NOTHING! Score 4 FREE soups! Also included in the deal is Progresso Organic Soups! We have that awesome $1/1 Progresso Organic Soup CAN any flavor printable coupon available. We can pick up 4 of the Soups, use our coupons and pay just $2.00! That’s only $0.50 per can! Awesome Deal – Stock Up! Note: these are just some of the deals we came up with. Please use the comments box below to share your deal ideas! as low a 4 FREE after stacked offers! 4 FREE after stacked offers! Perdue Frozen Nuggets, Cutlets, or Patties Only $2.50 at Stop & Shop!